Lamanda Park may not be a familiar name to many. Today it’s an ill-defined part of East Pasadena, bisected by Route 66 and hemmed in to the north by the 210 Freeway. Once, however, it was a separate town—proudly home to one of the largest wineries in Southern California, and acres of orange, walnut, and olive groves. It was called “the newspaper that represents the Eastern Gateway of Pasadena,” and its creator, Sigurd Russell (1885-1946), was as colorful a character as could be found. Russell was a journalist, artist, amateur aviator, theater director, and sometime teacher of French at Los Angeles High School. He was also an avowed socialist who wrote on and off for the International Socialist Review. Born in 1885 to actor/artist Edmund Russell and Henriette Russell—an acting teacher and art lecturer, Russell “became a well-seasoned traveler in his formative years after being moved around Europe for his education,” according to the Huntington Library. After becoming a freelance author and journalist, covering such topics as a West Virginia miners’ strike and the formation of a socialist cooperative in Pennsylvania, he settled in Pasadena, where he lived with his mother at 569 N. Madison Avenue. As the son of actors, Russell had a flare for the dramatic, both in his lectures and his personal life. On the night of January 12, 1914, he staged a dramatic suicide attempt on the doorstep of Joseph Barlow Lippincott, a wealthy engineer, whose daughter he had been courting. “Standing on the doorstep, he drew a revolver, purchased yesterday morning, and fired two shots into his breast,” reported the L.A. Times. The bullets, however, only grazed Russell, and he was taken to a local hospital to recover. “Russell is 28 years old and addicted to freaky actions,” the paper concluded. Russell survived the emotional incident, and later that year, founded the Pasadena Herald with another young journalist, Ernest Shockley. The following year, they changed the name to the Lamanda Park Herald, and opened presses at 2491 E. Colorado Boulevard. Russell’s editorial duties were cut short, however, by the outbreak of World War I, in which he served and was wounded. By 1918, the paper had a new editor, and Russell had moved on to work for the American Commission to Negotiate Peace abroad. He later returned to Los Angeles, where he married Madelein Fouchaux, a “painter, writer, and Pasadena society belle.” The two of them moved to nearby Garvanza, before divorcing in 1927. Russell also pursued a second love: the theater. As founder of the Pot Boilers’ Art Theater, he became the first West Coast director to stage works by playwright Eugene O’Neill. The Huntington Library notes that Russell “later became a teacher at Los Angeles High School, and used school vacations to travel to the Southwest. During these trips, he may have written about the Indians who lived there for the Southwest Museum, as Charles F. Lummis frequently attended parties at the Russell house.” He also amassed a collection of photographs and postcards of the Navajo and Hopi Indians, currently owned by the Huntington. Though Russell died of heart complications in 1946, the Lamanda Park Herald endured until about 1956, counting among its subscribers scientist Linus Pauling. Sadly, no copies of the paper are known to have survived. It’s no coincidence that Lamanda Park once had an elementary school named for pioneering astronomer George Ellery Hale (1868-1938). In April 1936, one component of what was to become his crowning achievement, the Hale Telescope, made its West Coast debut in Lamanda Park. 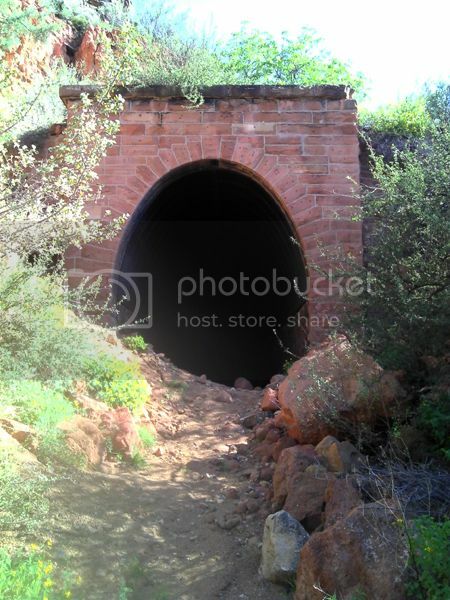 The half-month journey proved both tense and exciting, particularly when the train had to navigate a narrow tunnel in Johnson’s Canyon, Arizona. Even while moving, the lens was watched over at all times by five Santa Fe railroad detectives. The lens was unloaded by the “Barstow Hook”—a crane strong enough to pick up a locomotive—and driven to Caltech by a specially-hired trucking company. Here it was honed and polished for ten years before seeing “first light” on January 26th, 1949 at San Diego’s Palomar Observatory. When it finally got up and running, the completed Hale Telescope—with the initial assistance of astronomer Edwin Hubble—took photos like this one, of spiral galaxy NGC 7217—50 million light years away. The Hale Telescope remained the largest in the world until 1976, when the Soviets built a larger, though less effective one. It is still a “workhorse of modern astronomy,” according to Caltech, and continues to operate today. I was one of those whio bicycled to Lamanda Park to see the mirror arrive. Belyea truck company hauled it to Caltech. Many times watched it being ground.